We publish a newsletter every other month that includes articles about Bodies in Translation activities and highlights the amazing work that BIT researchers, activists, artists and other friends are doing. The full newsletter is available by visiting the link embedded in the subheadings with volume and issue number. If you would like to subscribe to the newsletter, please sign up by filling out this form. 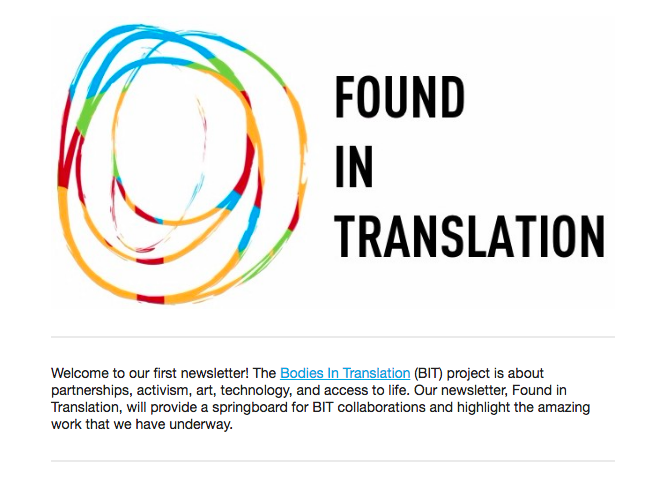 Found in Translation newsletter preview, including the Bodies in Translation multicoloured logo and the words Found In Translation.